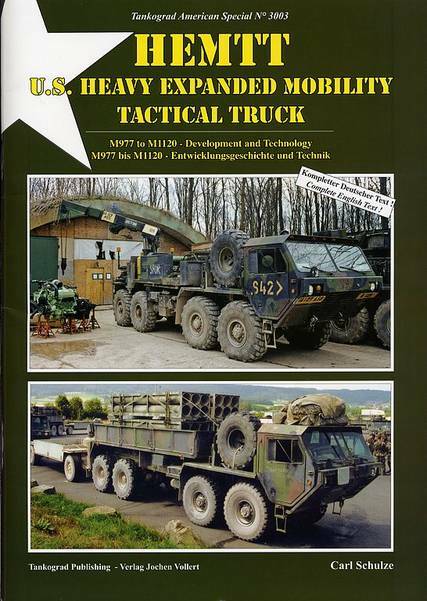 The intention with this topic is to list all resources relevant to building a scale model of the Oshkosh HEMTT (Heavy Expanded Mobility Tactical Truck) trucks, any model and any user. Information regarding the "cousins" of the HEMTT, the PLS (Palletized Load System) and the Logistic Vehicle System Replacement (LVSR) can also be found here. Michael Koenig "165thspc" blog about his build of the Italeri M1120 LHS. 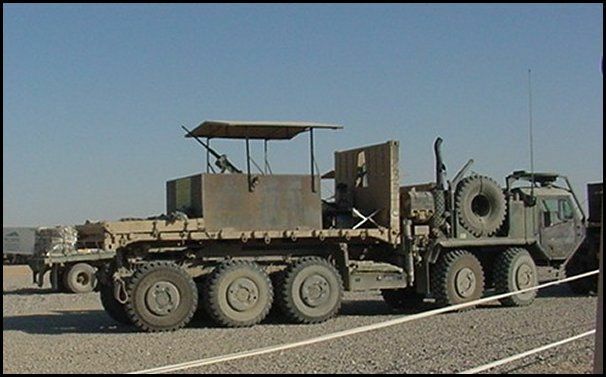 And what about the HEMTT guntrucks? Or even this one ? C-RAM Counter-Rocket and Mortar. Not really a gun truck. This thread may be getting off to sort of a confused start. First a HEMTT Guntruck is still a HEMTT so there is that. Also some of the photos published here are of the 5-axle PLS which is technically not the same as the HEMTT. The focus if this thread might need to be narrowed and/or organized just a bit but after that we should go for it. I am certainly interested in seeing what comes of this discussion! My M1074 PLS build. 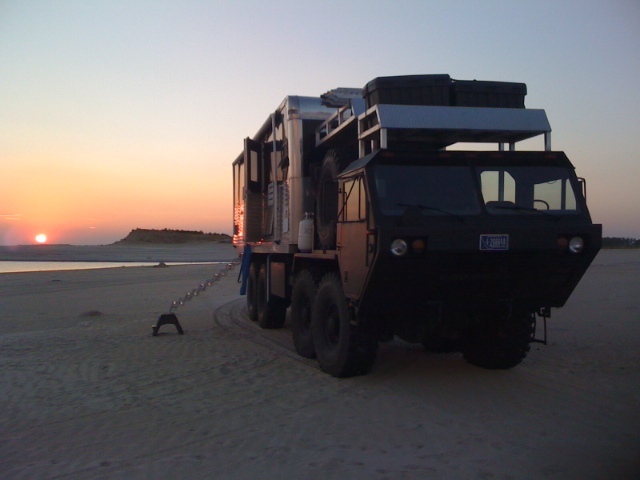 Even though it is not a true HEMTT, it is closely related to/based on the HEMTT. Vince "MAD_DUCK" Maddox's M984A2 Wrecker build. Keith "Docdios" Forsyth's M984A2 Wrecker. As to the above pics, none are A4s. The "Rolling Thunder" HEMTT and the HEMTT camper are both M977A2 models. 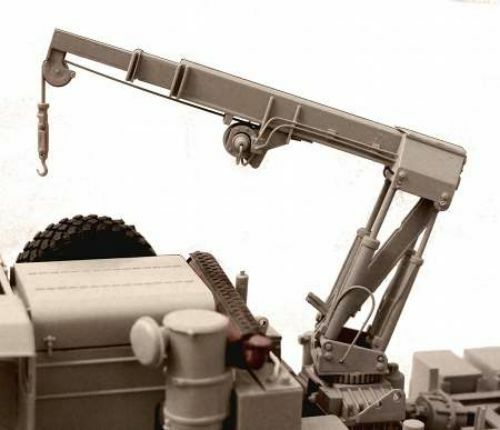 For the PLS pics, the first two are M1074s (w/Material Handling Crane - MHC), and the last one is an M1075 w/o MHC. The CRAM was only a concept vehicle and was never fielded. Well, first of all, I should have been putting in all the links I had, when I began this topic. That would have made it look better. Secondly, I lost the editing ability to my own posts Friday, but now I can edit the text again. As far as I can see, it is not possible for regular users to delete own posts. I would like to move all links to my first post, and ask the contributors to delete their postings in order to keep the topic tidy. This is apparently not possible, but I will still copy the various links you all have provided to my original post, so the new users don't have to read it all, to get to the link for a given vehicle, which interest them. I have updated my original post with all your links, so if possible, please delete your post to keep the topic neat. Sorry, can't delete after 24 hours (or something like that). No longer an option. Truly wish we contributors had more options for editing our posts later down the line. I was lucky to come across a couple of HEMTT PLS trucks (and a HET) yesterday. They supported the US team in the Nordic Tank Challenge. Nice pics. 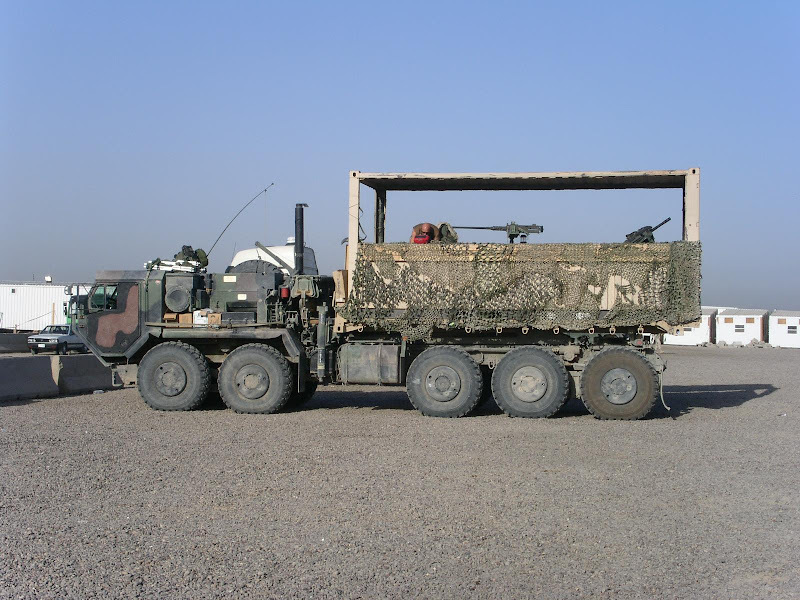 As I said above though, the M1074/M1075 PLS is not really a HEMTT, but a close cousin to it. 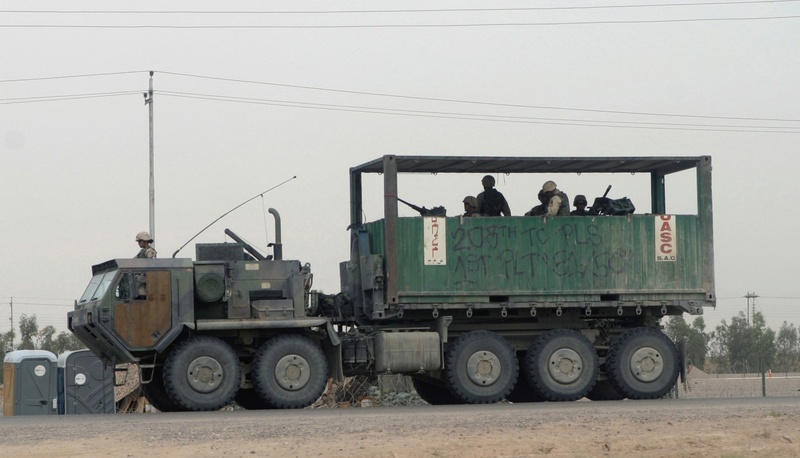 When I was in Iraq in 09, I saw an 8x8 with a cargo body on it that was set up as a poor mans fire engine (I think). it was basically what looked like a square steel tank and a hose reel with a pump on it. It was a one of a kind like I have never seen on a HEMETT and I kick myself regularly for not taking photos of it . No, you are right, they are two different vehicles. But from a modelling point of view, they come close, which is why I mention them above as well as the LVSR. BTW, the two Danish crews won the NTC :-) The Norwegian crew came in third. Hello Thomas, I liked the picture of the Oshkosh M1070F(British version). I see it has unit markings from 21st from Germany. Removed by original poster on 05/19/17 - 20:08:51 (GMT). How do you tell, the HET is British? I thought it was a M1070A1. The M1070F British HET is similar to the US M1070A1. The ones in your above pic link is a Brit M1070F though. You can tell by the front bumper and light layout. Due to a shortage of US HETS in Europe, the US has leased some Brit M1070Fs to transport equipment with. 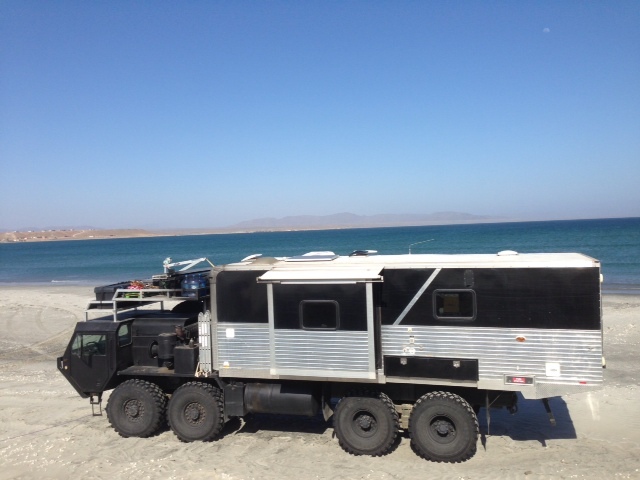 Hi Gino, Hi Thomas, when I saw the pictures from your link, their was a picture of an unit there. The company I work for serves the US Military, and was able to talk to a driver of the "Beasts". The American drivers had to go to school to learn how to drive them. I am hoping one day to drive up to the base where they are stationed at. I have begun a separate thread for my own M985 project. Please feel free to comment on the question, I posted there. Recently, I came across the Greek manufacturer LM Decals, which produces these fine decals for a M978 from the Israeli Defence Forces (IDF).